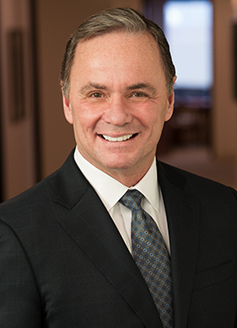 James Waite | Robinson Waters & O’Dorisio, P.C. James brings more than 20 years of experience in equipment leasing and financing, corporate law, real estate, commercial real estate, and mergers and acquisitions. He authored the American Rental Association’s book on rental contracts, and represents equipment sellers and lessors throughout North America on a wide range of issues, including negotiating and drafting sales agreements, leases and rental contracts, as well as buying, selling and financing dealers, rental companies and their equipment. He is a veteran of the United States Air Force, has a B.B.A. in Finance from the University of Texas at San Antonio, a Juris Doctor from St. Mary’s University, and an M.B.A. from the Kellogg School of Management at Northwestern University in Evanston, IL.